Gone to See America 2007 Road Trip. Nikonians ANPAT 7 Day 6: Yellowstone National Park. 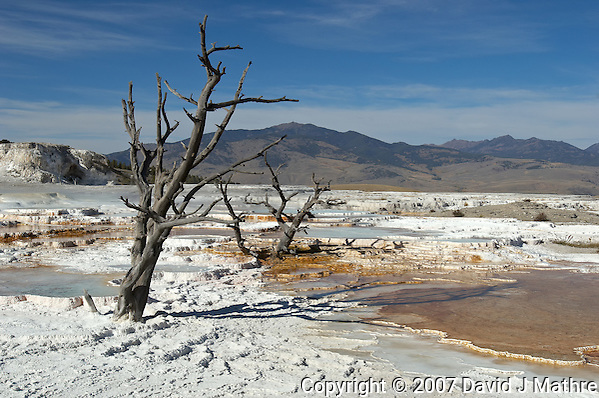 Dead trees in a salt flat downstream from the Mammoth Springs geyser. In the northwest corner of Yellowstone National Park.